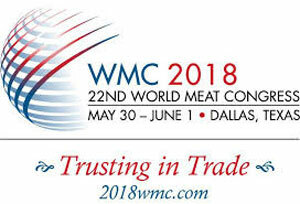 The 2018 World Meat Congress is coming to Dallas, Texas, May 31-June 1. This event, which is the premier gathering of red meat industry leaders from across the globe, is hosted by the U.S. Meat Export Federation (USMEF) and the International Meat Secretariat. Joe Schuele has a preview of this big event.